Dedication. It is a word commonly thrown around in the world of sports but it’s definition can hold many different meanings depending on whom it is referring to. For Miguel ‘Cata’ Diaz, dedication is almost four hours of traveling — by boat and three different buses — to be with his team three times a week for practices at the Empresas Polar headquarters. His ‘commute’ begins long after his day has already started. Cata is a fisherman, helping his father provide for his mother and younger sister, their days typically starting as early as 4 a.m.
His family is his #1 priority, baseball a close second. But it’s that commitment to his family that pushes him on the baseball field, the hope that he might one day be able to provide them all by playing the sport he loves. 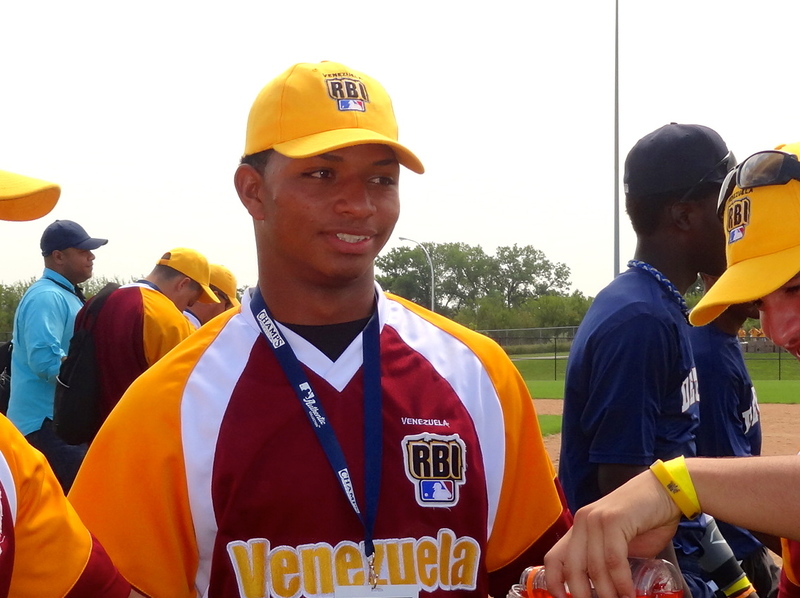 The Venezuelan RBI program has played a major role in Cata’s development as a player. With his managers guidance, he was moved from catcher to pitcher, a new role he is thriving in. But his managers’ roles in his life aren’t limited to baseball fundamentals. Cata and his Venezuelan senior teammates take on Houston during their first game Thursday, followed by an evening matchup against Detroit. The pitcher is excited to showcase his talent and hopefully bring a World Series trophy back to Venezuela, all of these opportunities ideally leading him down a path to play for his dream team, the Boston Red Sox. In Venezuela … First is GOD and second is BASSEBALL … We are TOP 3 in this sport at the world..